The Baltimore Ravens have released a statement denying that they gave Janay Rice a script for the infamous May press conference in which she apologized for her role in getting knocked out by Ray Rice, as well as denying that they told either Janay or Ray that she should apologize. The Ravens statement is in response to a couple of media appearances Janay Rice has made in the past week. On Friday, ESPN published a story by Rice (as told to Jemele Hill) where she wrote "I had already apologized to Ray, and I felt that I should take responsibility for what I did. Even though this followed the Ravens' suggested script, I owned my words." 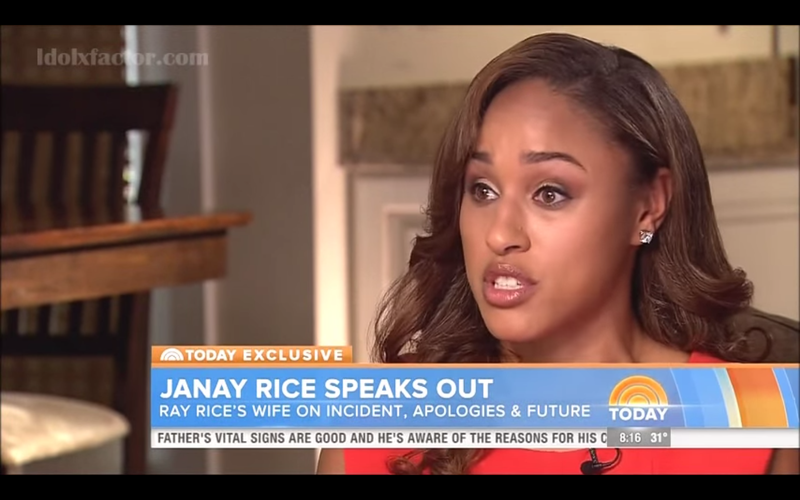 On Monday, Rice told the Today Show that the Ravens provided her and Ray Rice with a "general script" and suggested she apologize at the press conference. Later on in the interview, Rice said she only participated in the press conference at the Ravens urging. The Ravens' statement (via WBAL) is below.